The York Region Children's Aid Society mission is to champion the care and protection of children and youth and well-being of their families. The voice of the child is at the heart of everything we do and with confidence and resolution, we always strive to do the right thing. We are committed to excellence and to the principles of honesty, respect, and fairness, and take responsibility for our work, our decisions and our results. We value diversity, treat each other with dignity and compassion and empower individuals. 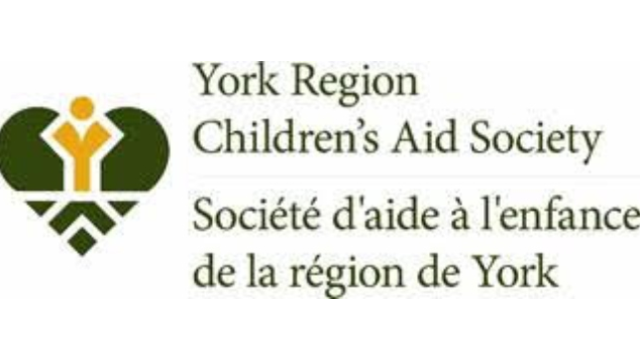 With the strength of 300 dynamic staff, The York Region Children's Aid Society provides child welfare services throughout York Region with offices in Newmarket, Richmond Hill and Vaughan. We serve over 5000 families, 400 children and work with community partners including health, education and police. Our success comes from the daily contributions of the remarkable individuals who make up our team. These positions will provide protective and preventative services to families and children. The successful applicants will assume responsibility for child protection caseloads including responsibility for assessing family and individual functioning, and the provision of child protection.